This has been a common occurrence lately – I’m in the creative zone and the next thing that I know – all of my Tombow Dual Brush Pens have made their way out of their neatly organized desk stand, they’ve been mixed in with my extras (just a few favorite colors that I run through incredibly quickly and can’t go without) and I don’t know how to undo this mess. Which ones belong in the stand? And in what order? Why do I have two of one color? And…WHY IS THERE ONE MISSING!? Which one is it!? I can’t rest until the empty space has been filled by its lawful owner. More times than I would like to admit, I had been solving “the case of the missing pen” by using Tombow’s Dual Brush Pen Tracker to mark each pen off and, by process of elimination, see which one was missing. And, don’t get me wrong, this can be fun but not when you’re finding yourself in this predicament daily. 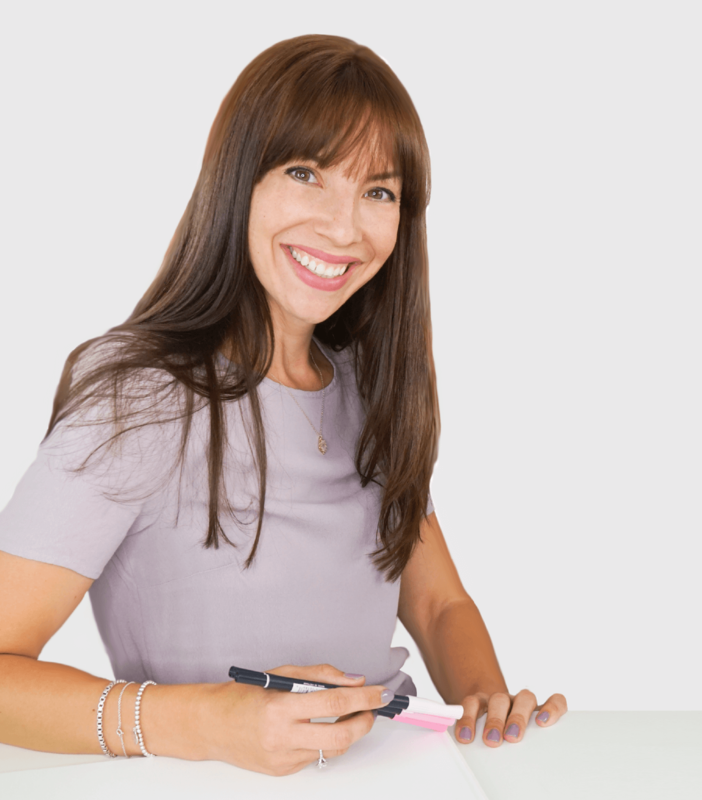 I decided that there had to be a better fix – where I could know where each pen belongs in the stand and just look at the one empty space to find out which marker had gone missing. So, I decided to make a grid that mirrors the 96-set pen stand and mark where each of the pens should “live”. Once you have your grid, it’s just a matter of quickly putting the pens back in order and knowing immediately which one is missing before trying to dig it out of the couch/a purse/the kids’ stash of coloring supplies. It’s worked so well for me so I wanted to share it with you too! 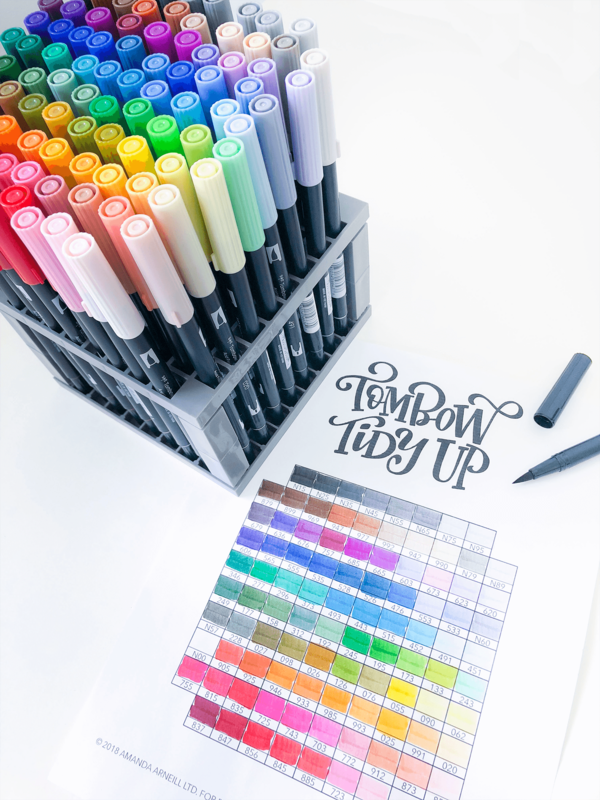 I’ve attached a copy of the “Tombow Tidy-Up” which includes how I organized my set, a cross reference list of the full 96-color set in numerical order, and a blank template so that you can customize it for your own collection if you like organizing yours in a different order. 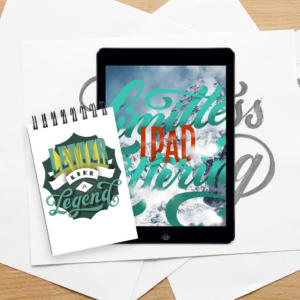 All you have to do is scroll down to download and print off the chart on letter-sized paper. 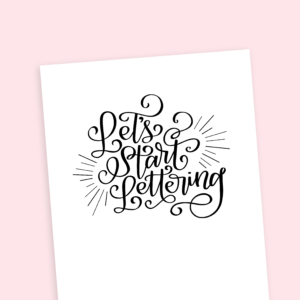 Then, sit down with your Tombow Dual Brush Pens and do a little coloring! Color in each square according to where that pen sits in your desk stand and write the pen’s color code in the rectangle at the bottom of each square. Then if one goes missing – you’ll know which to send out the search party for. 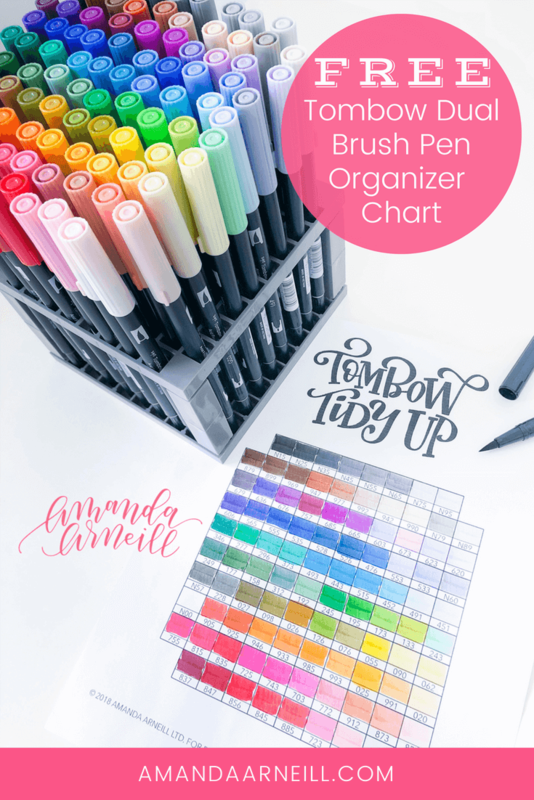 Or you can use your Tombow Tidy-Up chart to keep your Tombows in your favorite order, as a color swatch reference, or to keep track of your collection of Dual Brush Pens as it grows! 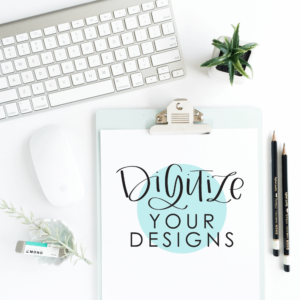 By the way, if you’re planning on registering in Beyond Basics & Black – this chart will come in extra handy because you’ll have so many excuses to play with all your Dual Brush Pens! CLICK HERE TO DOWNLOAD YOUR FREE TOMBOW TIDY-UP CHART!